This was a year of triplets for our dairy goats. One set was bottle raised, but the other set (which included a very hefty doeling with an equally hefty appetite) stayed with mama to be dam raised. Sadie, the mama of the dam raised kids, had a healthy appetite, but the herbal goat treat, Milk Money, gave her that pep she needed to keep her supply where the demand was. Abby, the other mama, was a different story. See, I got her as a new first freshener. Neither she nor I had any clue what we were doing. To say there were bumps along the way would be a serious understatement. I began to wonder if I had made a terrible mistake getting goats. Thankfully we found our groove. Unfortunately, it took me so long to learn how to empty her, her production suffered. We weren’t able to get her back to where she was when she came to me, but using an herbal supplement did get her production to where it was worth devoting the time to milk her. Please remember that the goat must be eating well and receiving a proper diet to support lactation, otherwise the body may be depleted. The supplement won’t cause the doe to produce more milk if the doe isn’t healthy. 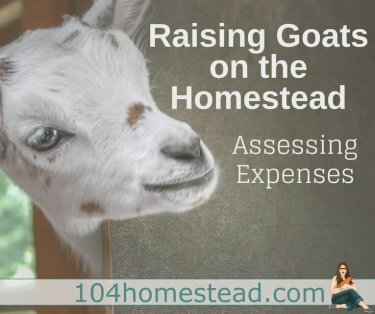 You can use Milk Money during fairs to keep your goat’s milk production going. We used it merely as an aid to help Sadie feed her three hungry babies and get Abby back into the swing of things. Have you cut back on how much you are milking out? Make sure to leave a bit of milk behind each time and then slowly cut back on the frequency you milk her. As far as herbs go, I’ve heard good things about sage, but I haven’t used it so I’m not sure the dosage and effectiveness.